Ms Thuan of City Children’s Hospital has already begun using the tip sheets in her clinic with clients. 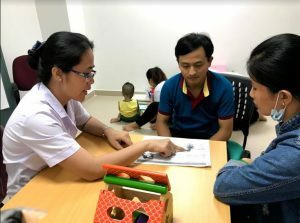 She discussed that the tip sheets have been very useful to support parents’ learning and in increasing their understanding of the strategies she uses in the clinic with children. She has also recently hosted a speech therapy student placement through Pham Ngoc Thach University and is encouraging her students to also use the tip sheets in sessions with families. 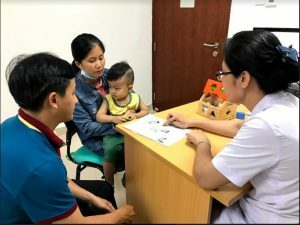 Well done Vietnam paediatric special interest group!